Liam arrived at Sporting Khalsa in September 2018 having started the season at Bromsgrove Sporting after joining the 2017-18 Midland Football League champions in the later stages of their campaign. The former West Bromwich Albion and Shrewsbury youngster was was previously with Shawbury and Bridgnorth. 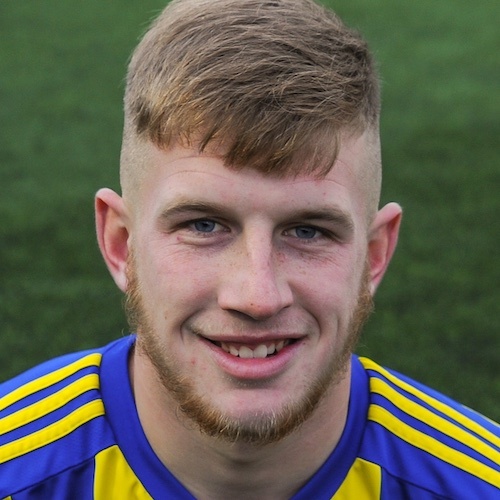 Liam made his first appearance for Khalsa as a substitute in a 4-2 win against South Normanton Athletic in September 2018 and scored his first goal for the club in a 3-2 victory against Paget Rangers in the Walsall Senior Cup in November 2018. Liam says he finds A-ha’s ‘Take On Me’ video difficult to watch because he too once fell in love with a drawing that came to life.